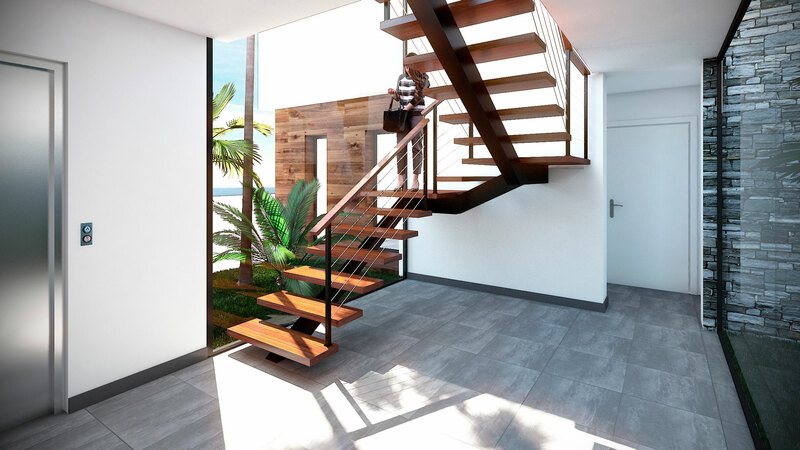 The unique design for this new build villa was inspired by the breathtaking views and the natural light. 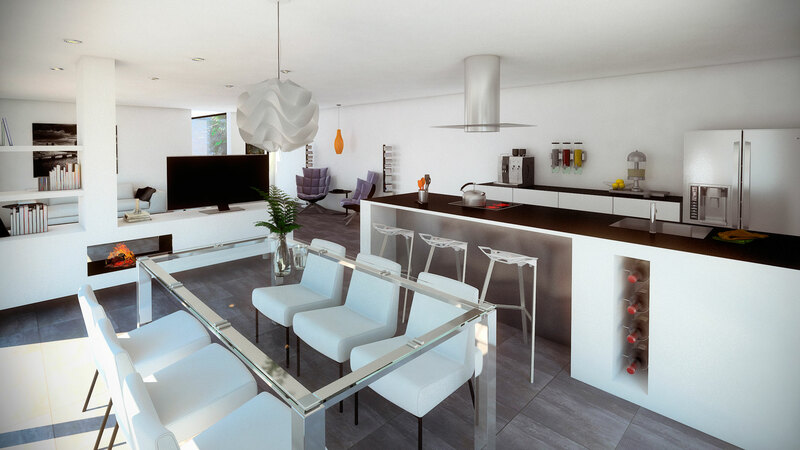 Allowing for a logical and practical layout, while promising an optimal and pleasurable living experience. 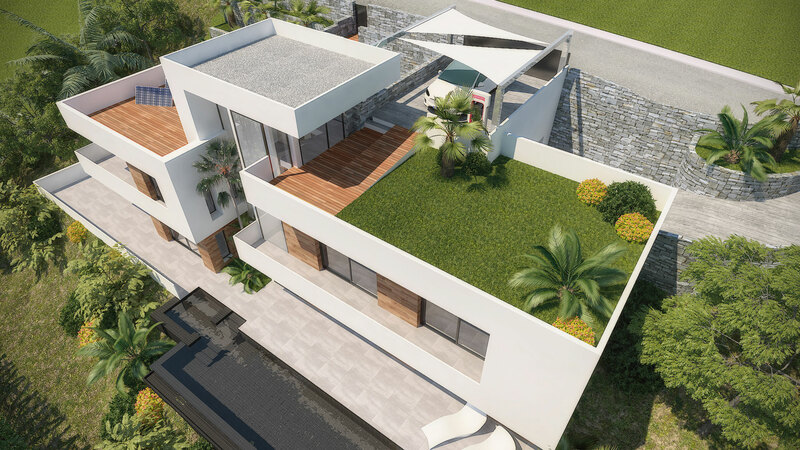 The use of high-quality and sustainable materials will result in a luxury villa in a beautiful, quiet and green location in Altea la Vella with stunning sea views. 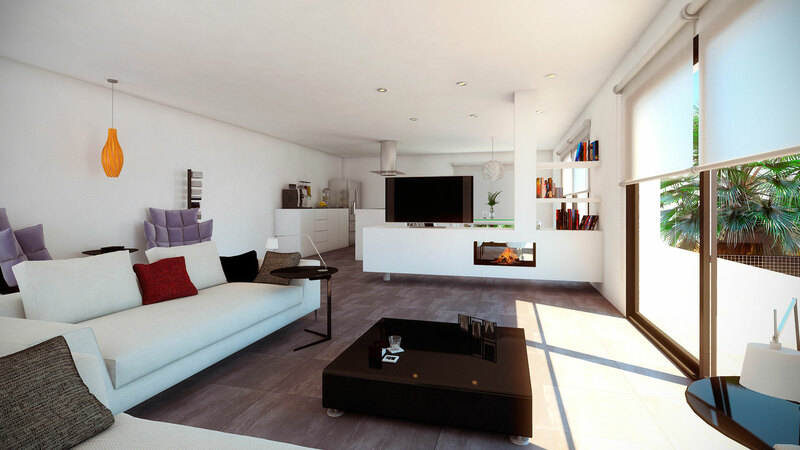 The construction of this new-build design villa will start in the autumn of 2017. 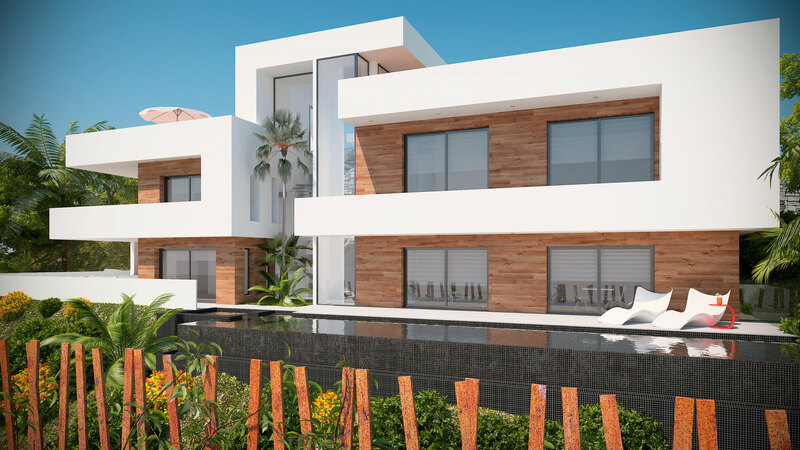 The 2 story villa will consist of 4 bedrooms, 3 bathrooms, a beautiful gray glass mosaic tiled infinity pool and large terraces surrounding the property. 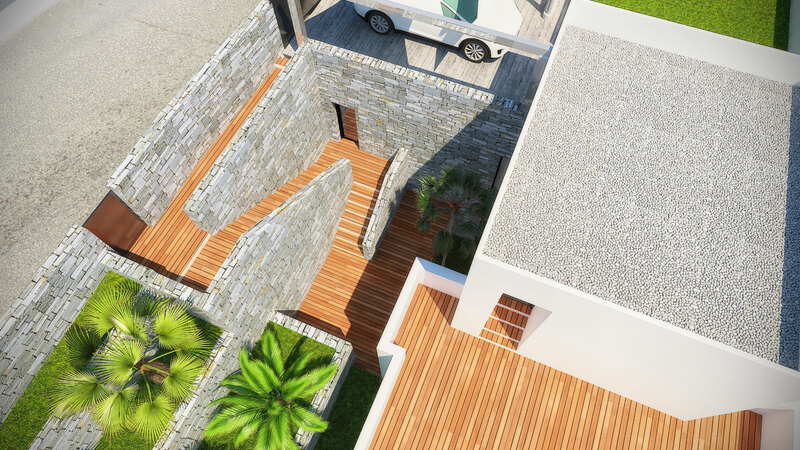 The driveway and the roof terrace have a surface area of ​​170 m2 and lead to the garage. 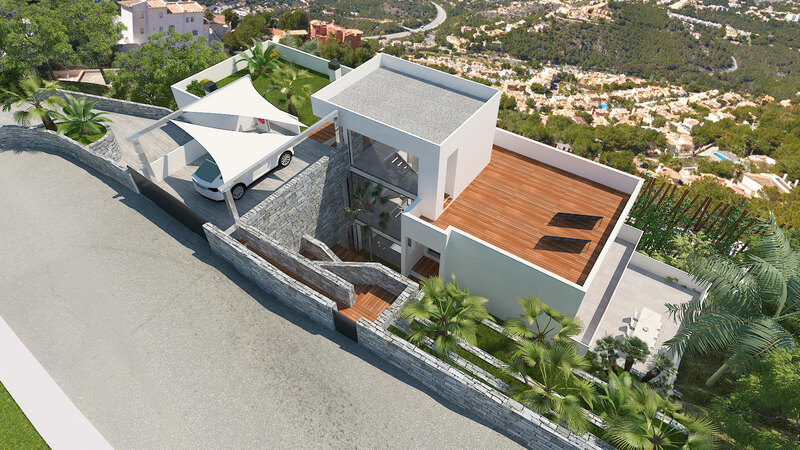 This villa is being built in compliance with the newest energy certificate Label A standards.